Our Nursery Cook provides meals, snacks and drinks throughout the day for your child. We have a varied 4 week menu that has been carefully planned to ensure a balanced, nutritious diet for all children. Any special dietary requirements can be catered for upon request. "Healthy and nutritious meals and snacks are prepared on the premises. The menus are on display for parents and staff teach children about making healthy choices in food and lifestyles. Building Blocks Nursery - Handsworth Wood is open all year round. We are closed on Bank Holidays and 1 Week over Xmas! Fees are payable monthly in advance by the 5th of each of each month, preferably by standing order, however, you can pay by cash or cheque if you prefer. Any parents who do not pay in line with our policy, will incur an automatic £20.00 late payment charge per month. Persistent late payments may result in us withdrawing your child's nursery place. Fees are non refundable and no reductions are allowed for holidays or sickness. However, you are not charged for Bank Holidays and the Christmas Week when we are closed. 1 month's notice in writing is required if you no longer require your child's nursery place. Welcome to Building Blocks Nursery in Handsworth Wood, Birmingham. We are located within Cherry Orchard Primary School and opened in March 2004 to accommodate 58 children from Birth to 5 Years. Our large building provides ample space for children to experience a variety of activities and explore our many facilities. There is a pushchair shelter located at the front of the nursery entrance to store buggies securely. The Owners Tina Hart and Alex Jones both have their foundation degree in early years and a wealth of experience of over 40 years between them. They both feel strongly about their nurseries providing high quality early years care and education and work hard to ensure those high standards are maintained. Nursery Manager Vicky Burrell and Deputy Charlotte Parker over see the day to day running of the nursery and are supported by a wide range of qualified and experienced members of staff. We pride ourselves on the number of senior members of staff who hold their level 5 and 6 qualifications (degree level) as well as employing a qualified early years teacher who runs our pre school room. This unit has an open plan room that can be divided to accommodate babies from 3 months to 21 months of age. Our specially designed baby unit is fully equipped with a wide range of stimulating toys and play materials and a separate sleeping and changing area. Our baby room is led by a level 5 graduate in early years and all our staff are dedicated to the care and development of each baby. They will provide a variety of play experiences as well as encouraging early skills such as learning to crawl, walk and talk and introducing social skills. Our staff will ensure there are plenty of opportunities for quality time and attention, praise and cuddles. We aim to follow your babies individual routine in order to help settle them into nursery quickly. Parents are given a daily diary sheet showing what activities their baby has completed during the day, what they have eaten and drank and when they have slept. Our Tweenie department had been divided into 2 rooms to cater for 12 children each. Throughout the day, the children in both rooms experience opportunities appropriate to their age and stage of development. As children move into tweenies, they will initially spend time gaining confidence and developing their newly acquired skills. Children then quickly want to explore their new found skills of mobility, dexterity and speech. 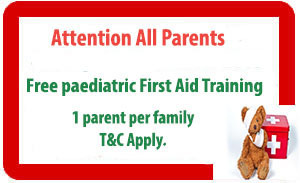 We have specially chosen equipment to encourage a child’s emotional, physical and intellectual development which works towards a strong child a healthy child a confident learner and a skillful communicator. We also have a separate ‘Messy Play’ area where children have the freedom to explore different textures with the aid of sand, water, play-dough etc. We know the importance of nurturing children's developments and will plan for outside agencies and outings to assist with their knowledge and understanding, relating to their current planning activities. Once the children move into the Tweenie Room 2, they will begin to recognise numbers, colours and shapes through play and small group activities. Independent and assertive children of this age are incredibly rewarding. We encourage a child’s vocabulary in many different ways using such methods as nursery rhymes, singing and storytelling throughout the day. We have a Sensory Room for all age groups to enjoy which has been created to provide a relaxed and calm environment. We have provided a variety of equipment and resources to allow children to experience the 5 senses. These include, bubble lamps, mirrors, various textures, light board and soothing music to listen to. Adult led activities for children to explore, investigate and make mistakes. Our "Playground" features a rubber surfaced area to provide a safe environment to support learning through play. We have a variety of equipment including a climbing frame to encourage children to use their imagination on a grander scale. We also have a paved area for the children to ride their bikes and scooters which provides a versatile area for all age groups to learn and play with plenty of shade. It is as much a physical development area as it is a social learning environment and we have plenty of resources to encourage this. Come and see for yourself why we are the right choice for your childcare needs! For those parents who like to get involved, we have Nominated Parent Reps for each age group. You are responsible for meeting with other parents and senior/management to share parents opinions and suggestions towards the education and care of the children. We believe it is important to be working in partnership with all our parents and feel that having the Parent Rep allows parents views and concerns to be heard and addressed.